OH BOY WHAT FUN I HAD THIS WEEKEND where I was like, “Hey, what should I do first? Should I vomit profusely, or should I defecate uncontrollably? Ha ha, I’m greedy, why not both at the same time.” Some sort of stomach bug food poisoning thing hit our house — me and my son, my wife thankfully escaping the madness, at least directly — and left us all gutted husks of ourselves sitting around, trying not to move, and mainlining every comfort food episode of We Bare Bears that television could offer. It was decidedly not awesome. It also explains why I was not in Seattle at ALA Midwinter this week, and apologies for that — I have nothing but great love for libraries and librarians, Ye Mighty Public Service Bibliomancers, and I was legit bummed not to get to hang with some proper librarians to pitch Wanderers. But also be glad I wasn’t there to spread whatever it was I had! THAT’S HOW MUCH I LOVE YOU. I’m back now, err, at least operating at around 60%, so here we are, with the Monday news. Black birds, circling. That’s right, the sixth and final Miriam Black book, Vultures, has landed. With it have come some very nice reviews! “Sweet Bee Vomit!” is the exclamation all the cool kids are using. 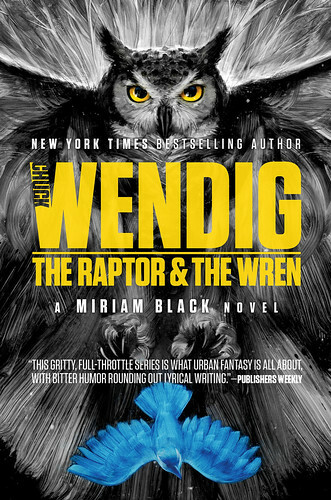 The second Miriam novella isn’t actually a Miriam novella, but rather, is about the character Wren from the series — in particular, it’s about her going up against some psychic-powered slasher-killers in the Midwest, and it takes place between TR&TW and Vultures. 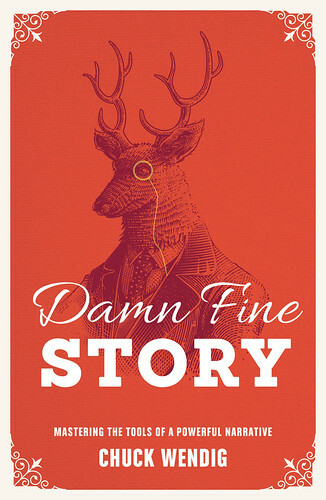 Subterranean Press has a limited print edition, and I’m told it’s close to sold out — so check it out, willya? Who run Blurbertown? I noted that I am sitting on a very fortunate pile of kind words regarding Wanderers, and though we haven’t formally begun to share most of those, I’ll note that one sentence from Rin Chupeco stood out, and I’m really quite in love with this. Of the book, she said: “If you ever wanted to know what America’s soul might look like, here’s is its biography.” And I thought, oh no, and I also thought, oh yes, and I’m really excited by that. My favorite of her work is The Girl From The Well, so get on that if you haven’t read it. 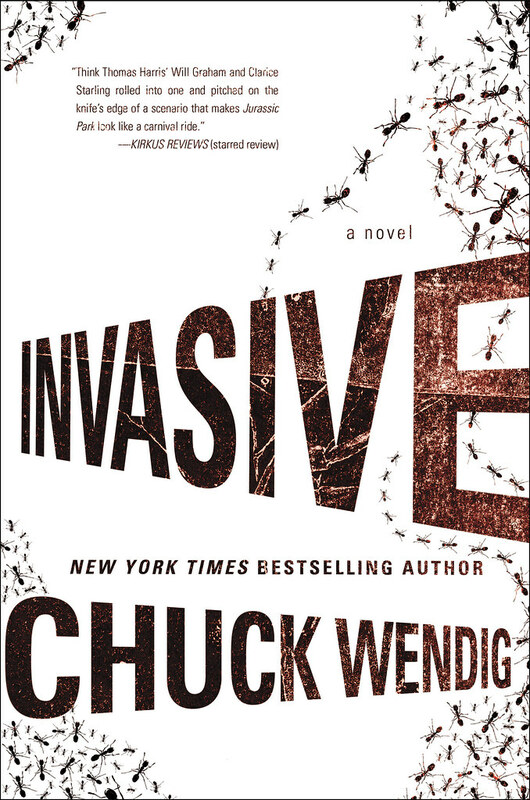 Chuck Wendig, Apple Reviewer. Apparently my review of grocery store apples has made some newsy rounds, so… y… yay? Yay. Maybe I’ll need to find something else to review. Like more apples. Different apples. Or bees. I could fancy myself a professional bee reviewer. You don’t know. The Ragnarok of Ragnatalk. It’s true. It’s over! It’s finally, finally done. Anthony and I did it — we completed the circuit and finished our prestige-format 10-minute-increment review of the movie Thor: Ragnarok which effectively ends our podcast. Except, will we truly be gone? Or will there be… something else to rise in its ashes? You must listen to learn. And sweet bee vomit, I think that’s it. Here, have a picture of a well-read apple. That’s an amazing review. I’m looking forward to reading it!